Yoshizuki Kumichi Picture Collection ~Calendar Film~ gathers more than one hundred illustrations by the artist in this A4 sized, 112-page art book. The art work is clean and polished, and beautifully presented with full page layouts, letting your eyes take in each piece, one at a time. You may recognize some of the art work, or at least the style because Yoshizuki Kumichi is the illustrator for the Someday's Dreamers (魔法遣いに大切なこと) manga series, two of which were adapted into animations. 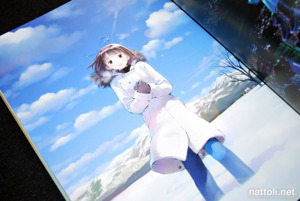 However, the book is orgazined by season and not series, so you can encounter pictures from Someday's Dreamers as well as Yoshizuki Kumichi's original illustrations throughout the book. And it really blends quite seamlessly; I don't find myself considering the series when looking through this art book, instead I'm only appreciating the illustrations. 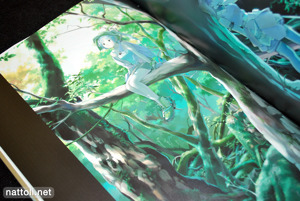 The first section of the art book is Summer, and it's by far the largest section of the book with about 43 illustrations in total. 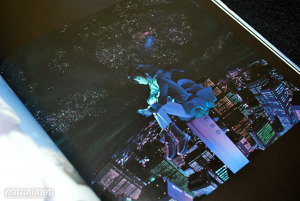 Most of the images in this section are also from the original Someday's Dreamers (魔法遣いに大切なこと). One of the most beautiful aspects of Yoshizuki Kumichi's are the backgrounds. He can really pull off an art book organized by seasons because the scenes are beautifully illustrated whether it's indoors or outdoors. In fact, every illustration in the art book is a completed scene with a background, which isn't common for an art book of this length. Another rather impressive aspect of the book is that out of all the illustrations, only four of them are two page spreads, allowing for full page display for most of the illustrations. Just an example of one of the many moods Yoshizuki Kumichi can convey in his art work. 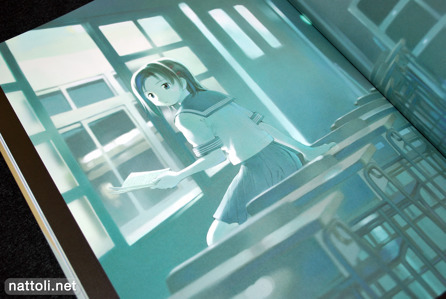 This illustration also falls into the Summer section, with empty classrooms and summer uniforms. The next season is Autumn, and it's quite short comparatively at just 13-pages and 15 illustrations. But the vivid colors of the fall are clear and many of the illustrations, with leaves brick and golden colored leaves creeping in amongst fall flowers. 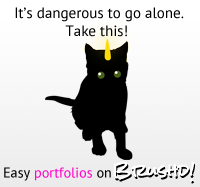 Winter is next with 19 pages and 21 illustrations, so there's only one page of shared illustrations. I like this section best in particular because of the attention to detail in the clothing, and the subtle ways he manages to include color in to winter scenes that often tend to be quite bland. 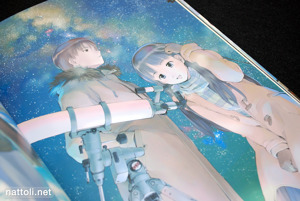 Five of the illustrations in the section are from the Someday's Dreamers (魔法遣いに大切なこと) series with the main character Yume. 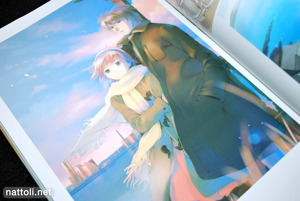 That art has some really nice pastel like tones, think I might check it out! This looks gorgeous. 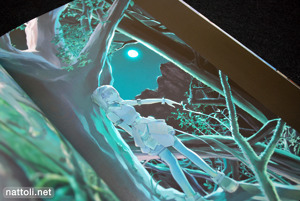 I usually don’t get anime related artbook but this one looks very nice. I’m more limited financially now though for obvious reason lol. Picked up this book when it came out. It's one of my favourites as I love the artwork and the look of the colouring. Are there any books out there with just somedays dreamers stuff? 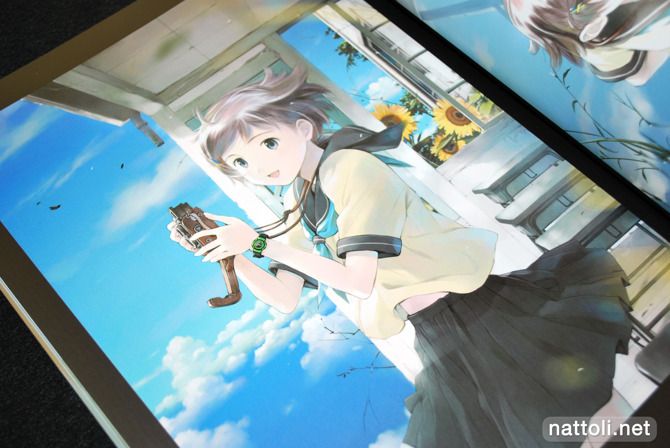 There is one that is only for the anime, and doesn't contain the kind of art shown in this review. It's more of an anime visual book.